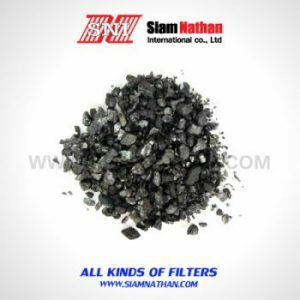 Disposable carbon air filter is an easy – install partial – bypass carbon type air purifier for light duty IAQ application in home and commercial recirculated air systems. The filter user premium grade granular virgin coconut shell carbon to remove odors by the adsorption process rather than masking them as “air fresheners” do odors are controlled by surface adsorption on the carbon which has over one million square feet of surface area. Typical household applications are the removal of odors from bathroom, cooking , smoking and entertaining. Commercial application may include restaurants , schools , medical offices , beauty salons , health clubs and offices. 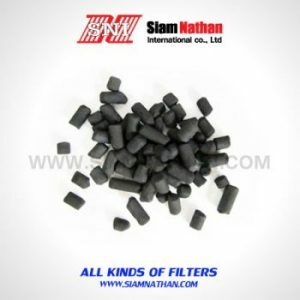 It is difficult to predict the life of any carbon filter. It is a function of the concentration level of dust and gaseous contamination for each specific application. Even thought sensitivity varies with the individual, the human nose is still the best indicator of the need to change a carbon filter. A laminated cellulose honeycomb material forms the base structure of the filter. The honeycomb provides for the exposure of great amount of surface area for full untillization of the carbon. Each individual honeycomb cell is filled with granular activated carbon to either the 50% or 75% level. The 75% fill filter has a longer life than the 50% fill filter , but its airway pressure drop is greater. The carbon is retained within the honeycomb cells by a screen mesh on both sides of the filter. The honeycomb is given additional strength by a moisture-resistant die-cut beverage board frame (standard sizes) or U-channel beverage board (special sizes). Each filter is individually sealed in plastic to retain the carbon efficiency prior to installation. – Low static pressure partial bypass type odor adsorber. – Premium virgin coconut shell activated carbon. – Controls odors in many light duty applications. 1. Special size Model C filters are available. Contact your local representative or the factory. 2. Recommended maximum rated velocity is 500 FPM. 1. 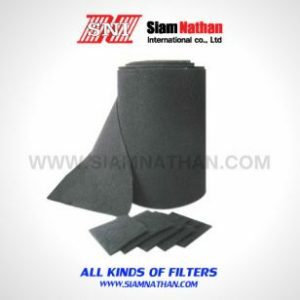 Filters shall be constructed of laminated cellulose paper honeycomb whose cells are partially filled with granular virgin coconut shell base activated carbon. 2. Fill level shall be 50% or 75% as specified. 3. Carbon shall be retained by screen mesh. 4. 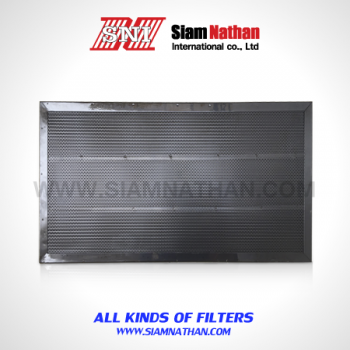 Filter frame shall be die-cut or U-channel moisture – resistant beverage board.